Today’s topic: Weight Loss Is Not An Industry. Is there really a tangible goal when it comes to weight loss? 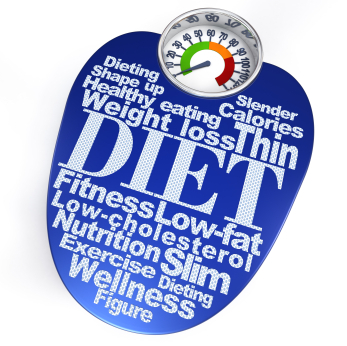 Is there really a tangible goal when it comes to weight loss ? After more than 100 years the several approaches to weight loss have been “Industrialized” into a wide variety of products and services. If weight loss had a cure it would be the golden goose. This is the crux of it all. If weight loss could be solved with one paradigm or one fix, you would pay for it and you would get your money’s worth. What drives people to over eat? It is true to an extent that people are not as active now as in previous generations, but it’s only a factor. People living prior to the Industrial Revolution were certainly more active all day long. There is no comparison when it comes to the one or two hours of high intensity work at the gym versus the laborious activities in manufacturing and agriculture performed all day long in previous generations. As technology increases, we are slowly chipping away at our daily physically activity levels. All of our daily chores are becoming automated. Modern conveniences replace what would once require hours upon hours of work. We were built to move; the Information Age, strives for modernization and convenience so that will barely have to move at all. There are hundreds of driving forces behind why we eat too much (advertising, boredom, stress, etc.). The bottom line is our appetite exceeds what we can eat for current activity level. Our metabolic rate is very low for our activity level. It does not feel wrong to eat 3000 calories in a day when our metabolic rate is under 2000. We are designed for feast and famine. This is why we crave high caloric foods like sweets and fats. We have gotten away from being able to feel when and how much we really need to eat. So the key would be to learn what just enough is, and sadly just enough is always going to be a little less than what you want. When in doubt a little bit extra exercise is always a good idea, but not enough to burn you out. You can’t get this answer from the “weight-loss industry”, in a pill, or in any of the “quick fix” answers. One hundred years of industrial advances has not quite solved this. If you want to know what it feels like to actually burn say 3000-4000 calories in a day try a form of exercise that takes at least three hours. That’s the sort of day where you might be able to eat ad lib or sort of unchecked. Then as you are eating notice how quickly you can eat 3500 or so calories. The bottom line is you will need to take steps to not become obese. You will need to make an active effort from now on and for the rest of your life.